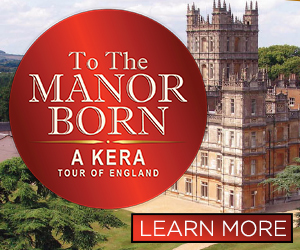 Support KERA for your chance to win a 12-day Viking River Cruise! Only 1,700 tickets will be sold! 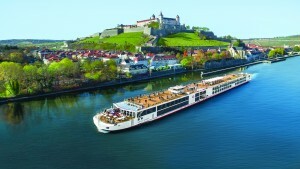 One lucky winner will receive a Viking River Cruise 12-day journey for two, including two nights each in two of Europe’s most glorious cities, Paris and Prague — plus a scenic river cruise along the Moselle, Rhine and Main Rivers in a Category A stateroom. Viking Longship Kvasir near the town of Wurzburg, Germany along the Main River with Marienberg Fortress in the background. The package includes a 12-day river cruise; roundtrip airfare, transfers, taxes and airport fees; Paris and Prague hotels; meals; shore excursions; and tours. This once-in-a-lifetime experience is valued at up to $18,000! Ticket sales end Tuesday, February 26 at 11:59pm. The winning raffle ticket will be drawn live on KERA TV on Monday, March 4 at 7pm. You do not need to be present to win. The winner will be notified by telephone. For more information, read the official details and rules.